Starter's Orders Game Review - Download and Play Free Version! Scout, purchase, train and jockey horses to build a racing empire! 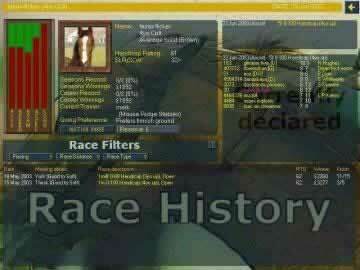 A fun and realistic game for horse racing enthusiasts! You will start with 3 horses and 6 spots in the stable as you try and build your reputation as a breeder and run your horses well as a trainer. There is a vast world of gaming which includes 6,000 different horses and hundreds of trainers and jockeys! With over 30 worldwide racecourses including: Ascot, Flemington, Arlinton, and Tokyo you will have the challenge of scheduling and managing many racing options! What horses are going to race? Who will run them? What are your chances of winning money? All of these factors you'll have to consider as you make decisions. Starters Orders includes statistically accurate betting, in-depth form book, and a multiplayer 'punter match' game mode. In this game you will feel the thrill of seeing your horse win a photo finish. Yo will also feel the nerves as post time is arriving for your horse(s). Will your horses finish 1-2 so you can win that quinella? Will they go 1-2-3 for the tri-fecta? Can your horse handle more than 6 furlongs? Discover all this as you play Starter's Orders. Starter's Orders is an extremely detailed and realistic game that has you training and racing a stable of horses as you try to climb the Trainer's Championship table. You can watch any race, dictate the strategy for your horses in their races, or even take the reins of your horses and guide them yourself. You can bet as much as you want on any race you want, on your own horses as well as others. You have complete control over the training, purchase, sale, and racing of all your horses. 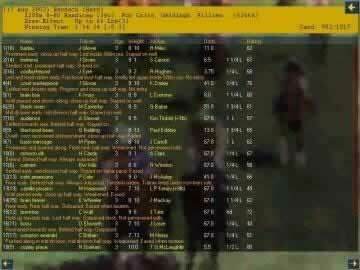 Fans of horse racing will find a lot to enjoy in this challenging simulation. You start off the game with only a few horses at your disposal, but you can easily buy and sell horses through auctions after races. Your goal is to manage their training and put them in position to win races. You can purchase some upgrades along the way that will benefit your horses and make the training even more effective. When you're comfortable with the training and condition of horses, you can enter them in races. You'll need to declare your entry ahead of time, which means you need to be careful in planning so that horses are well rested before races. When you enter into an event, you can also select a jockey to use from a long list of varying win percentages and prices. You can go through the events of each day, bet on races, watch them, or skip all of it if you want and get straight to the results. If you don't skip the events, you can set tactics for your jockey (keep pace, set the pace, etc.) or even take the reins yourself. Taking the reins gives you more control and influence over the outcomes of races, but is extremely challenging. You continue playing or skipping days until the season ends, at which point you can compare your performance throughout the season to other trainers/owners. A new season then begins in which you continue your actions from the previous season. There's are three modes of play in Starter's Orders to choose from. The Punter Match mode lets you play a multiplayer game. In this mode, players simply make bets on races. The first player to £1,000,000 wins. The Trainer mode starts you off with £100,000 and 3 horses. Your goal is to manage the training and races of your horses to make as much money as you can and climb the Trainers Championship table. There is also an option to play Simple Trainer mode. This is the same as the normal Trainer mode, except that all the training of horses is done automatically. There's not a lot of variety or change, but the Punter Match mode does let you involve some friends in horse racing action. One downside to the game is the steep learning curve that you'll need to overcome. Even with the instructions that come with the game, it will still take time and effort to learn the game and ultimately be successful. It will be especially difficult for anyone unfamiliar with horse racing, which could limit the audience of the game. There are also no difficulty settings to make the game easier or harder (although you can play in simple mode to make it a little bit easier). This is a great game for anyone interested in horse racing, but it's going to start off fairly slow. The controls in Starter's Orders are simple and easy to use. You mainly use the mouse to navigate and click on various menus and screens. Occasionally, the Space Bar and Tab key can be used to skip parts or all of a race when watching it. The layout and organization of menus and information is well done, making finding information quick and easy. There's not much in the way of graphics in the game, but you can see some simple 2D graphics when you watch races. They aren't much to look at, but having a visual of the progress of races is a great addition to the game that adds a bit of action. Like other similar simulation games, there isn't a whole lot of sound either. However, the lack of sound really doesn't hurt the gameplay in any way. Overall, Starter's Orders is an excellent game choice for any horse racing enthusiast. You are given complete control over the training of your horses, the jockeys who ride them, and which races they participate in. You can watch any race and place bets on the outcome. You can buy and sell horses at auctions after the races. You have access to a ton of information via easy to navigate menus and screens to help you make the decisions you need to be successful. This game will take some time to learn, but it is well worth playing for any fan of horse racing and management.